The FDA is meeting this week to consider a red, yellow, green system for labeling foods according to their degree of healthfulness. Here’s what the New York Times has to say about this. This is, of course, would be much like the Hannaford supermarket “follow the stars” program, about which several of you have strong feelings (see comments under entries for Supermarkets and Labels). In the early 1990s, Center for Science in the Public Interest did a fold-out pyramid designed to be put on school cafeteria tabletops. This listed foods on green (anytime), yellow (once in awhile), and red (seldom) sides of the pyramid. As is always the case with these kinds of approaches, the line between categories is a thin one and subject to much argument and manipulation. 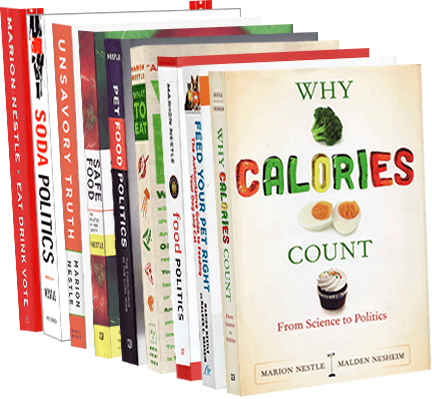 The FDA proposed something much simpler about five years ago: to put the entire number of calories on the front of packaged foods. What a good idea! It still hasn’t happened. Don’t hold your breath for this one either.